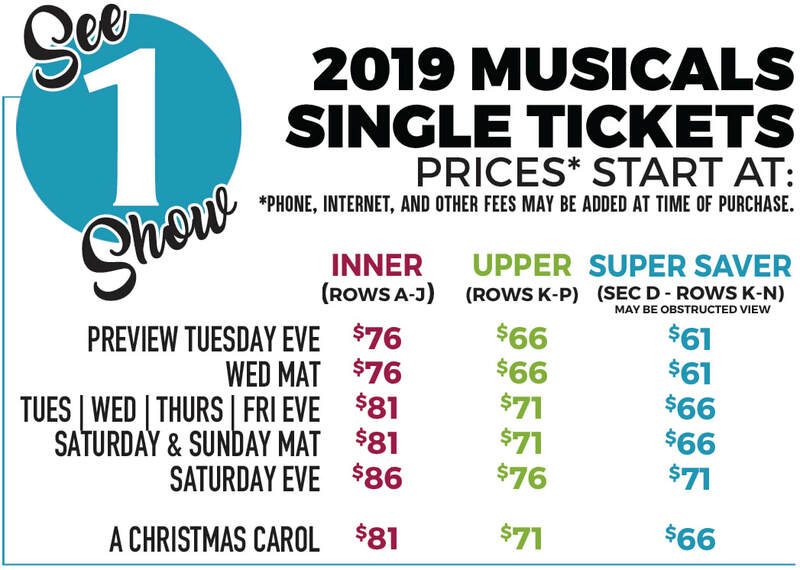 Single ticket prices are subject to change based on demand. * VIP PACKAGES ARE ADD-ON OPTIONS TO YOUR TICKET PURCHASES. THEY DO NOT INCLUDE TICKETS FOR THE SHOW.